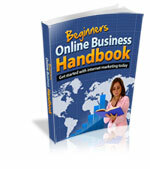 Running a successful internet business can look so simple when you are on the outside looking in. You look at a successful internet entrepreneur and he doesn’t look like he is doing anything special but he is living the good life. It really doesn’t look like he is working all that hard. He seems to be enjoying life immensely. Really...all he is doing is sitting comfortably in front of his own computer in his own very comfortable home a few hours a day. He talks on the telephone and seems to be enjoying every conversation. Apparently, running a successful internet business is the proverbial ‘piece of cake’! Right? WRONG!!! Wrong, wrong, wrong!